With the recent announcements of Fate/Extella Link being a sequel to Fate/Extella it felt highly appropriate to spotlight Scáthach on this blog of mine. The game is enjoyable, the sequel looks promising, and it has my favourite Servant in waifu status to join the battle of Moon Cell, Velbur, and others. Heyo guys, I just wanted to leave my form of respect towards VRChat via this blog posting. I already made a few Youtube videos, yet wanted to give my thanks via this blog posting for all the fun times that were to be had. 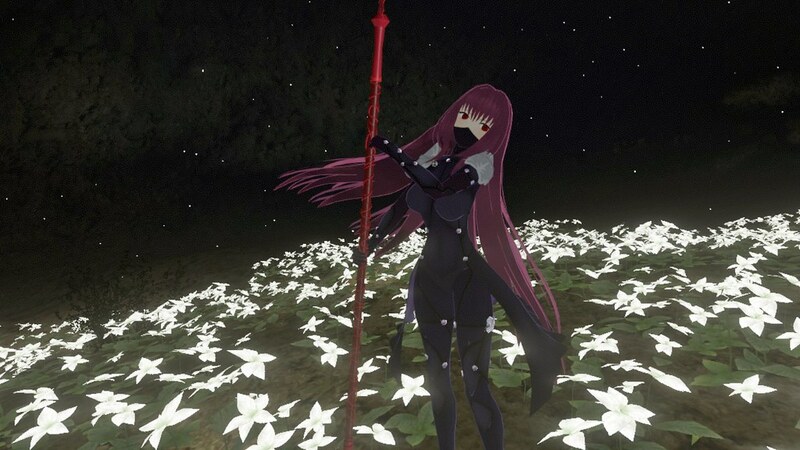 – Scathach (F/GO) in VRChat within the Nier: Automata flower cave.